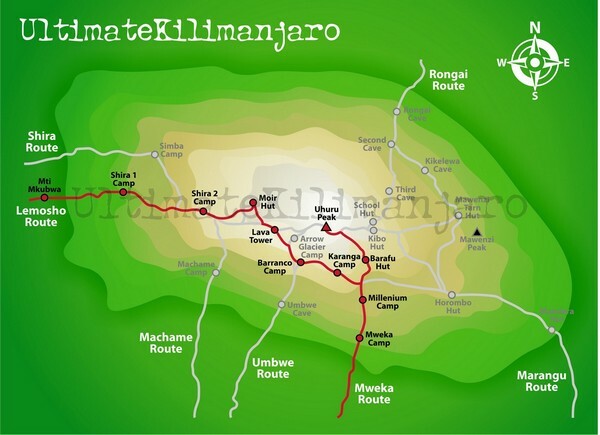 So for the third installment of my Kilimanjaro saga (see part I and part II), I'd like to share my planned hiking itinerary. Several friends have been asking me about it in person and now I get to share details! 15 January: Chris and I fly JFK > AMS > JRO, landing at JRO on 16-Jan late at night. 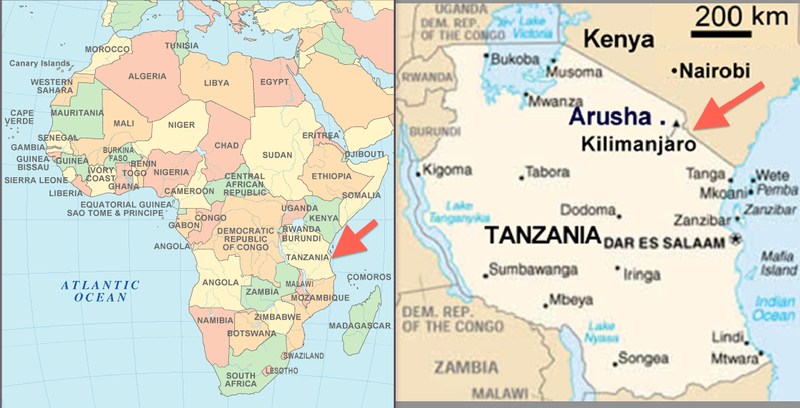 Good Earth will pick us up and bring us to our hotel in Arusha, which is about a 45 minute drive from the airport. 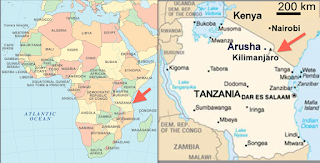 17 January: rest day in Arusha. We have the option of going to Arusha National Park for a game drive safari, walking safari or canoeing safari for some extra money. I'm not sure what we will do yet, if anything. 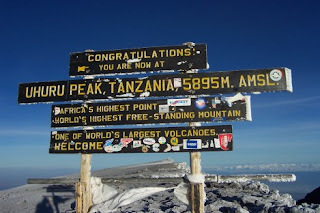 18 January (Day 1 on Kili): We get on the mountain! 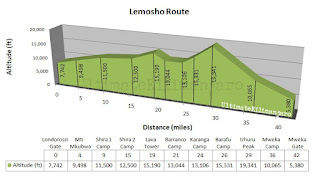 We have chosen the Lemosho route which leaves from the Londorosi gate. After we register at the gate, we will hike to Mti Mkubwa (about 3-4 hours) for our first camp at 9200 feet. 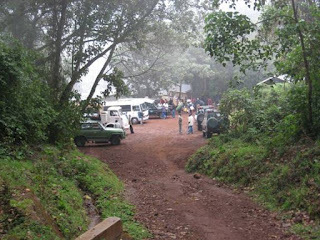 The majority of this day will be in montane forest habitat. 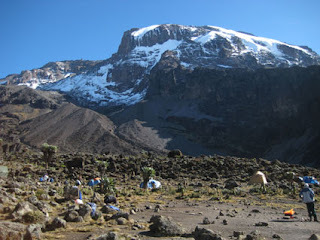 19 January (Day 2): We hike to Shira I camp (4-5 hours away) at 11550 feet. The climb starts out a bit steep but I'm told the terrain is beautiful and we have a tiny chance at seeing big game. As we get closer to camp the terrain changes into alpine heather moorlands. 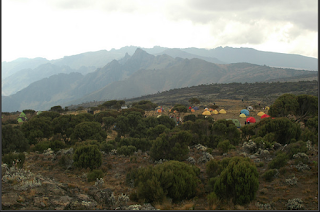 20 January (Day 3): We hike to Shira II camp (2-3 hours away) at 12220 feet. Shira II is not so far away so we will use this day to add acclimatization hikes, perhaps briefly pushing out of the heather moorlands. 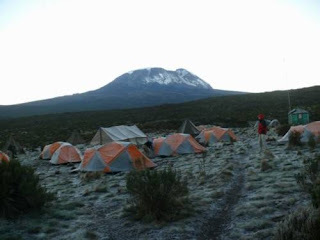 21 January (Day 4): We hike to Baranco camp (6-7 hours away) at 13100 feet. We pass the iconic Lava Tower today. Most of the terrain will be semi-desert or desert. 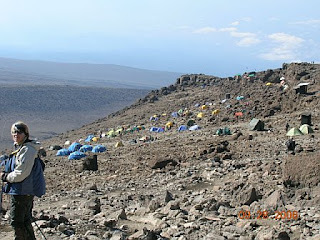 22 January (Day 5): We hike to Barafu camp (6-7 hours away) at 14910 feet. Right away we will have to gain the Baranco Wall, which looks intimidating! We pass through Karanga Valley and start seeing high altitude vegetation - aka none. 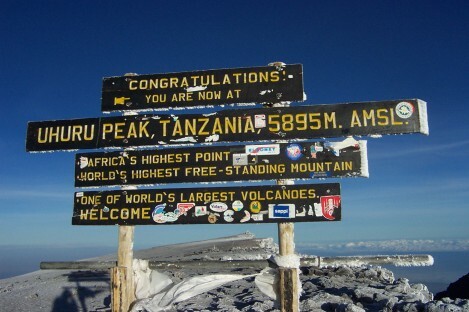 23 January (Day 6): SUMMIT DAY!! 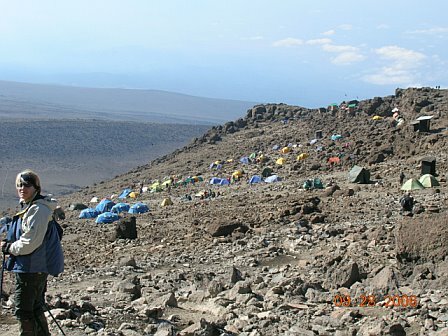 We leave Barafu camp at midnight and make our summit push of 6-7 hours hiking. We will pass between what's left of the Rebmann and Ratzel Glaciers. 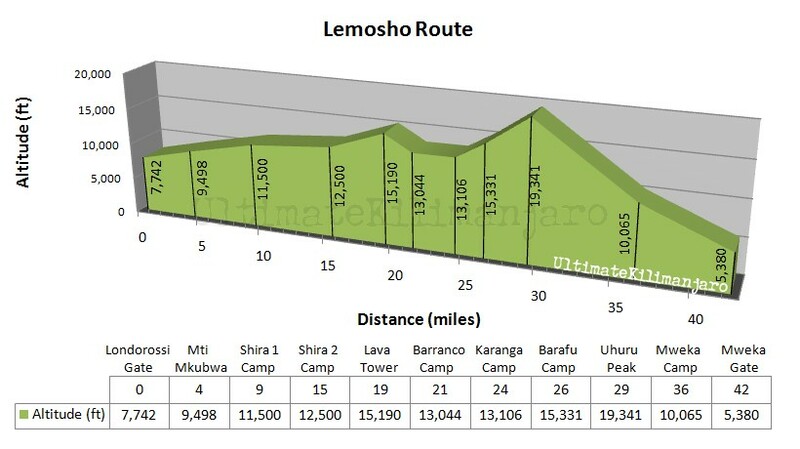 The goal is to top out Uhuru Peak (19340 feet) close to sunrise. Then we will descend to Mweka camp at 10010 feet, a 5-7 hour hike. This is a big day! 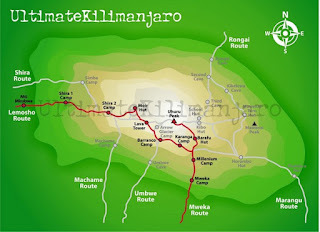 24 January (Day 7): Complete our descent to Mweka gate (3-4 hours away), then back to our hotel in Arusha (about 1 hour away). This isn't exactly our route, but it's close enough. 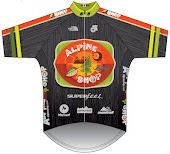 Looks like we will be covering close to 42 miles in 7 days. How's that for Icy Iron mileage! 25 January: We fly JRO > AMS > JFK. The first flight leaves very late at night so we will have all day on the 25th to pack, recover, celebrate, and explore any last bit of the town before leaving. 26 January: We land in New York after lunch! 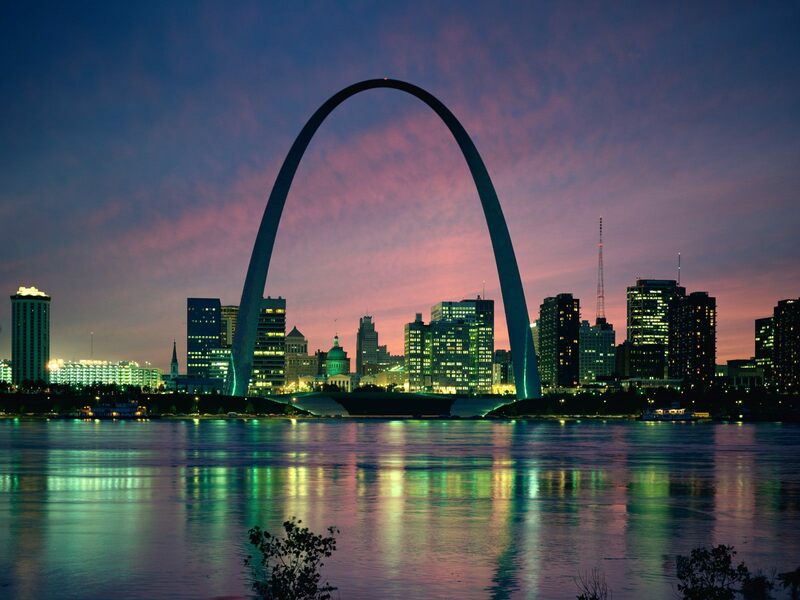 27 January: I fly back to St. Louis. 29 January: I turn 28! Ah! I'm trying to organize a welcome home/birthday celebration. Stay tuned. This is so exciting, and I'm only going vicariously. Have a wonderful time...can't wait to read about it! "30 January...... I return to normal life." I wonder if "normal" will ever be the same, after such an experience! We are so excited for you - and proud - and happy to be able to celebrate your birthday with you to hear all about it. Happy planning!